Quintessential to all Japanese cuisine, Tsuki Suiji-Mirin is an indispensable ingredient providing the foundation to many culinary creations. 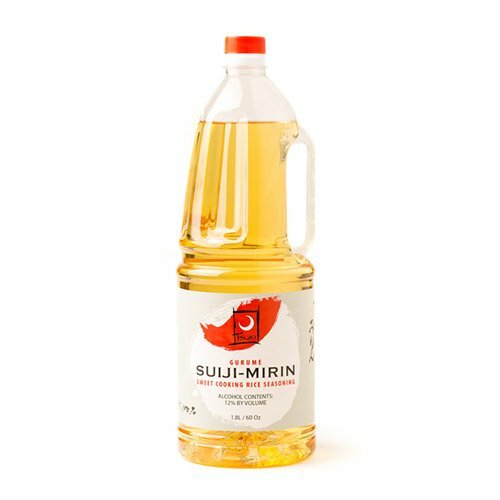 Dark Gold in color, Suiji-Mirin has a rich aroma of sake and delicate sweetness. The all-natural amino acids enhance flavor, while the alcohol accelerates flavor absorption. From glazing to sauces to stir-fries & marinades, Suiji-Mirin can be used to elevate or mellow. If you have any questions about this product by Tsuki, contact us by completing and submitting the form below. If you are looking for a specif part number, please include it with your message.